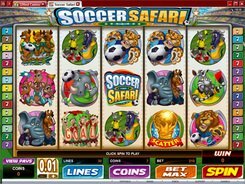 Soccer Safari is a 5-reel 30-payline slot with its theme revolving around soccer played by African animals. Fitting the theme perfectly, the symbols incorporate rhinos, lions, leopards, hogs, referees and other theme related icons. 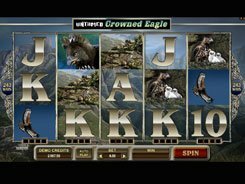 A bet is adjusted from $0.01 to $120 per spin, so there’s certainly a choice to suit all budgets. 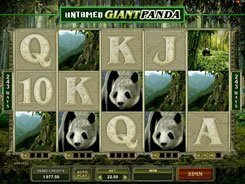 A wild symbol is represented by the Soccer Safari logo that substitutes for other icons and awards the slot’s top prize of $8000 for five wilds landed on a payline. 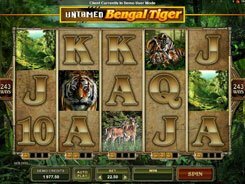 A free spins feature has a unique twist to it and is triggered by Zebra symbols landed on reels 1 and 5 at a time. 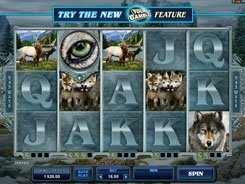 You get five free spins with reels 1 and 5 becoming wild for the duration of the feature. 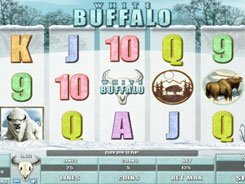 When the five free spins are over, the three middle reels get frozen, and the remaining two reels (#1 and #5) respin in an attempt to create more winning combos. Besides, you can benefit from an eye-catching Go For a Goal bonus where you have to pick your team and player. Then you shoot a penalty kick at any of the four corners of the net. Whether you score or not, you are guaranteed to win a cash prize.